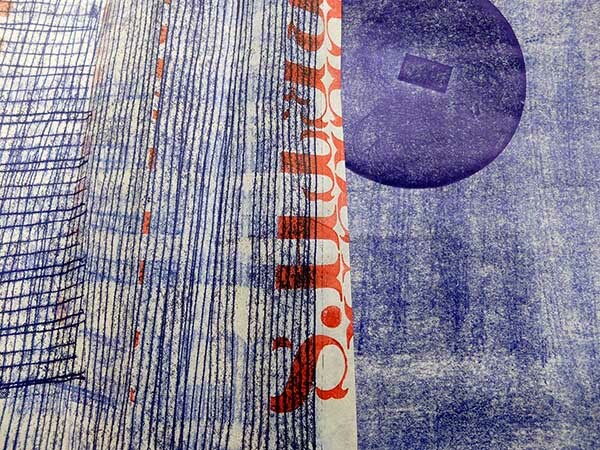 The annual ‘LENvention’ (Letterpress Etiquette Network Convention) event was held on 28th-29th June at the Print Centre, UWE Bristol, UK for an invited group of letterpress practitioners with a particular interest in artists’ books. This year’s theme for the project was Empathy, and the collaboration was led by visiting artist Dr Tim Mosely, of Griffith Centre for Creative Arts Research (GCCAR) at Griffith University, Brisbane, Australia. Participating artists were: Angie Butler, UK, Brad Freeman, USA, Hazel Grainger, UK, Lucy Guenot, UK, Rachel Marsh, UK, Imi Maufe, Norway, Andrew Morrison, UK, Tim Mosely, Australia, Elizabeth Willow, UK, Philippa Wood, UK.